Anchor is England's largest not-for-profit provider of housing and care for older people and everyday our residents enjoy meeting and socialising with our active group of dedicated volunteers. We recognise and value the positive impact volunteering makes to people’s lives, not only the residents but equally those who give their time for the benefit of others. 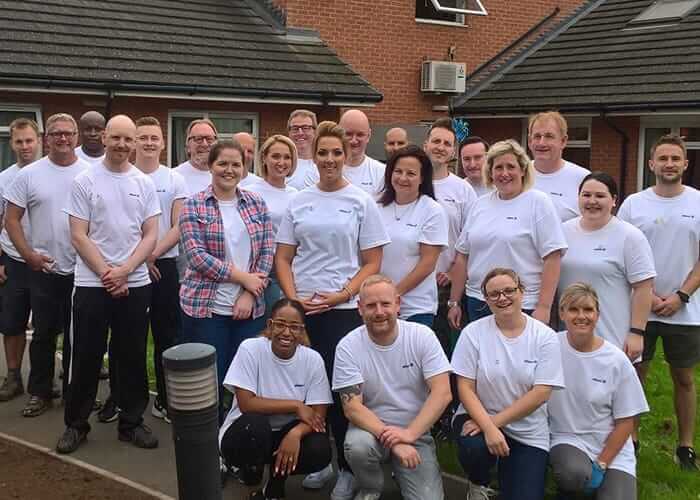 Corporate and group volunteering demonstrates a genuine commitment to helping the local community, nurtures positive attitude, realigns perceptions and helps employees feel really good about the place they work. 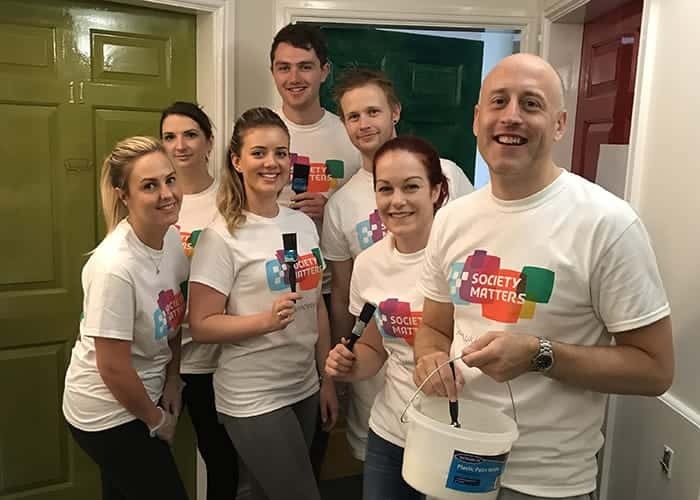 In fact it’s widely acknowledged that volunteering can increase employee job satisfaction, improve recruitment and retention and give colleagues the opportunity to collaborate together have a meaningful impact on their local community. 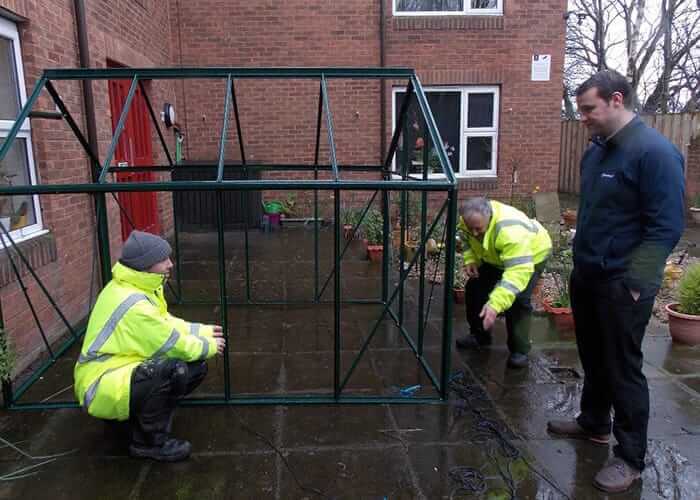 Students from the University of Leeds, part of the Leeds Action Group, volunteer at Halcyon Court care home in Headingley on a regular basis. 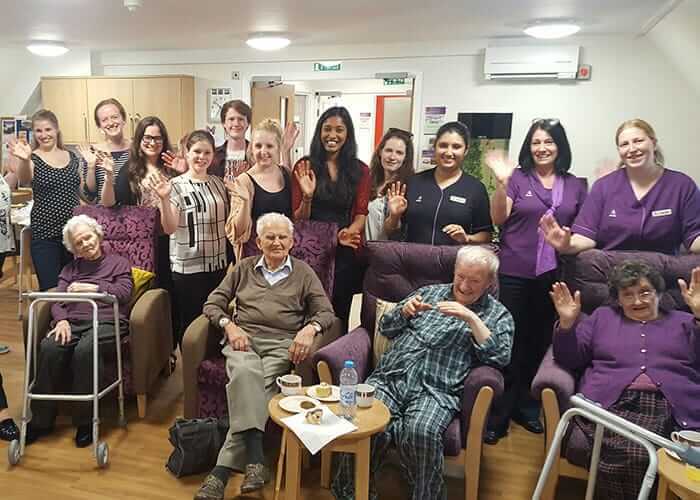 The students organise a wide range of activities with residents, including reminiscence sessions, salsa, ballroom and Irish dancing, jewellery making, sing-alongs and live music performances.